Jul - 29 | By: Oregon Film | one comment. 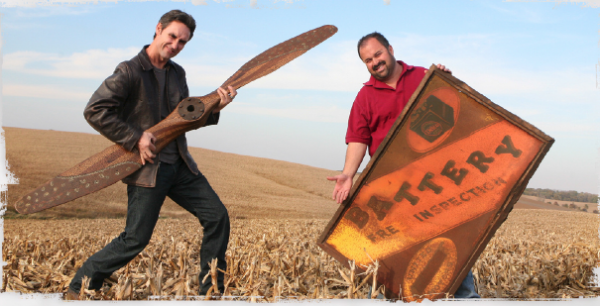 The “American Pickers” series will be filming in Oregon later this year. Mike Wolfe and Frank Fritz will be cruising the state looking for vintage memorabilia and antiques for this documentary series (History) to showcase their valuable “picks” from unlikely places. If you have a large collection or want to refer someone to Mike and Frank, email: your name, number, address and description of the collection and photos to: [email protected] 855-old-rust. “American Pickers” is produced by Cineflix Productions for History. New episodes air Wednesdays at 9 p.m. ET on History. I really enjoy your show! If you need a camera-person I would love to be on-board. I am sure you have your own crew, but just in case . . .